Circus Fun...Or something like that! Well, as you all know, when it rains it pours. We've been making lots of lemonade from the lemons we've been dealt this last month, but that's ok. We're healthy, happy and filled with love. The rest is just noise. 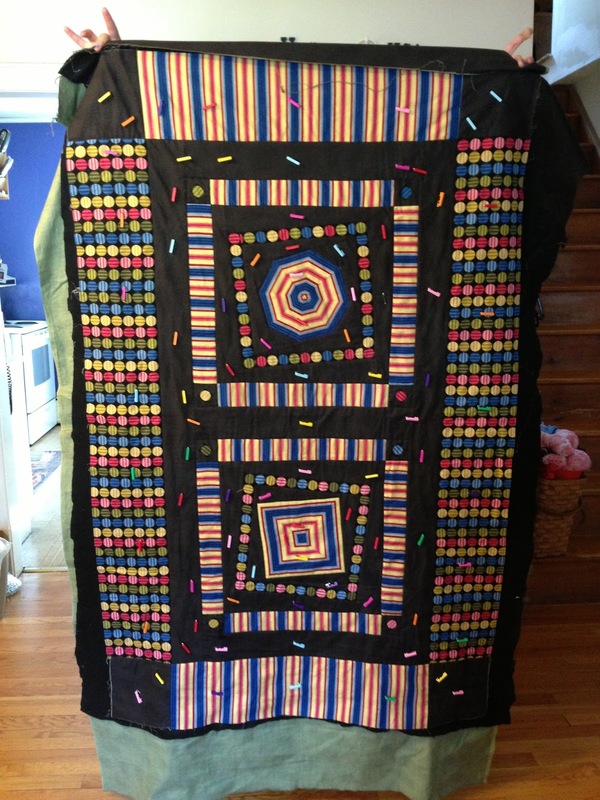 I've been quilting when I could spare a moment. I've been working on this project for a while now. The top was done a couple of years ago. Now I've started quilting it. 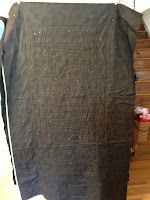 I've gotten the in-the-ditch stitching done and now I'm ready to work on the rest of it. It's a little wacky but I love it. I designed it myself. 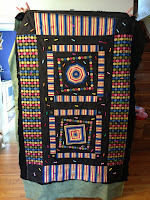 I used three fabrics - the stripes, the dots and black crackle. The basting is what has annoyed the daylights out of me. I basted it four times before I decided to just let it go. 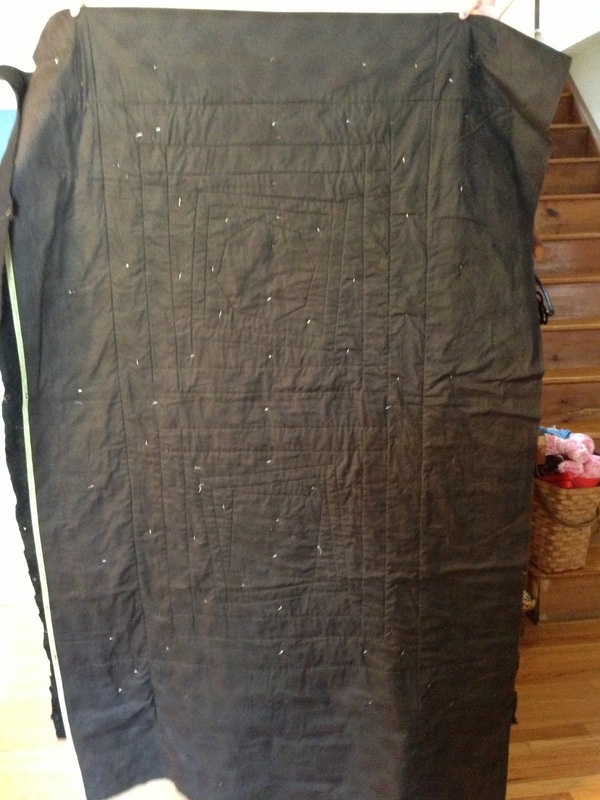 I'd love a nice smooth back, but I don't think it's terrible and will work once quilted. My next issue was finding a thread that would work for the top. 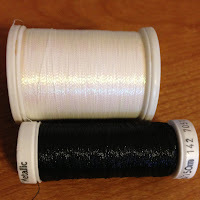 I wound up with Sulky Prism White Metallic thread and Sulky Black Metallic thread. They both have a nice sheen and an interesting play in the light. 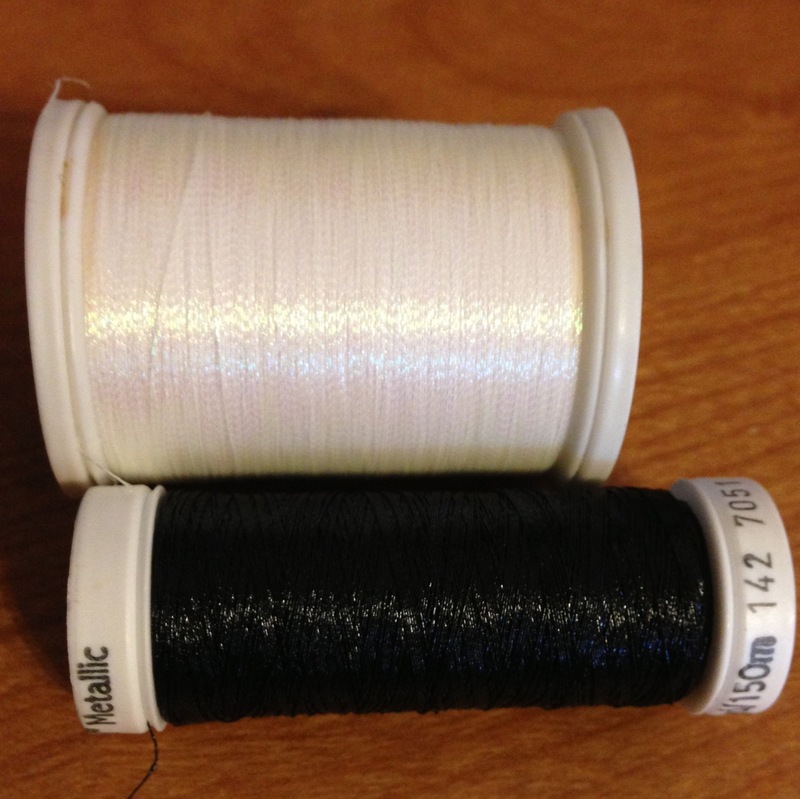 They're 50/50 Poly/Nylon so I've had to adjust the tension on my machine so they work well together. I think I've gotten it all straightened out. Now, if only I could decide how to quilt the rest of it. Wish me luck! PS: We moved the new 1921 Singer Red Eye to a new spot so I'll be able to get some good pictures to put up!